Deep South Containers specializes in site cleanup services for our customers in Lafayette, Sulphur, Lake Charles and surrounding areas who would rather not get their hands dirty. No problem, we can load and haul the debris for you. No home project or construction site is too big or too small for us. Whether you are a general contractor, remodeler, or handyman Deep South Containers will clear out all the leftover construction debris for you. For those homeowners or landlords doing a spring cleaning or DIY project, let us take care of the hassle of clean up and make your job that much easier. 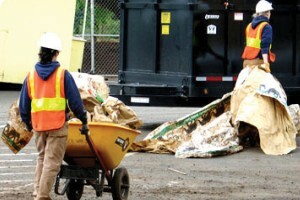 We can also help with timely debris removal from storms and disasters. Quick clean up can help the rebuilding process get started quicker.